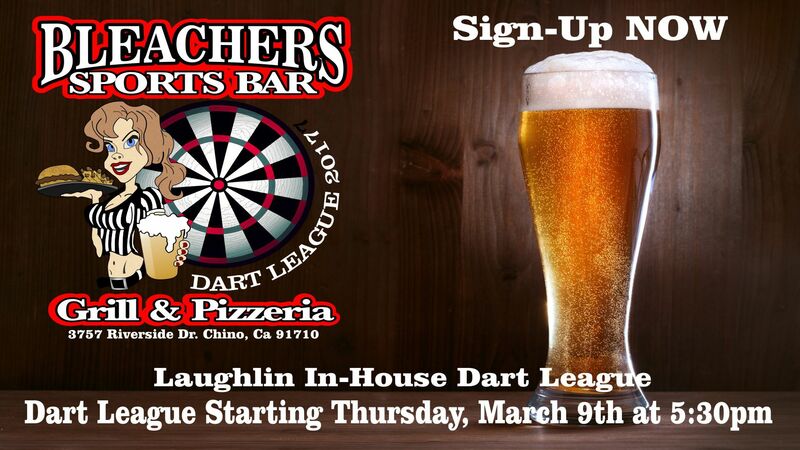 Bleachers Thursday Night Laughlin In-House Dart League is NOW Forming. Ask a Bartender for details and Sign up Now. Lots of Fun and food discounts while you play.